This song references Hebrews 9:28 which says, “so also Christ died once for all time as a sacrifice to take away the sins of many people. He will come again, not to deal with our sins, but to bring salvation to all who are eagerly waiting for him.” (NLT). It calls for us to wait in anticipation of Jesus’ second coming to this world. This song is a call for us to worship Him as we wait. I thought I would post two versions of this song. Take time an listen and spend sometime worshiping and anticipating Christ’s return for us. 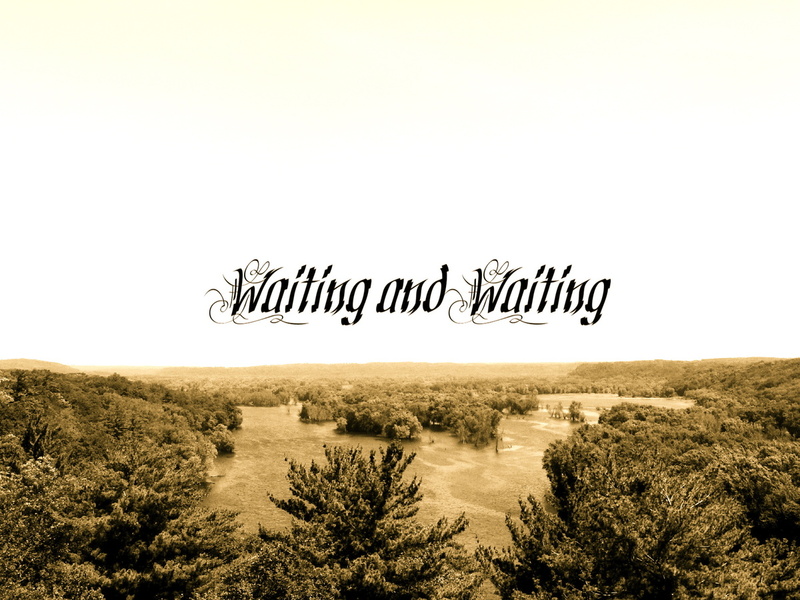 Yesterday I talked about waiting on God. I know that waiting is extremely difficult, especially when you are impatient. Yet waiting is important because God operates on His time, not ours. Peter tells us, “But do not let this one fact escape your notice, beloved, that with the Lord one day is like a thousand years, and a thousand years like one day. The Lord is not slow about His promise, as some count slowness, but is patient toward you, not wishing for any to perish but for all to come to repentance.” (2 Peter 3:8-9, NASB). This just goes to show us that God’s time table is nowhere near ours. To him, time over the last 2000 years could seem anywhere from 2000 to 730,500,000 days (or 5.5 to 2 million years!!). Our time table is meaningless in God’s eyes, it’s only His time and will that matter. Bu this doesn’t help us wait any. Knowing that God doesn’t provide in our time, it actually kind of makes me worry that it will never happen. So simply waiting on God isn’t enough. What is it that will get us through the waiting? What is that one thing that will help us enjoy God’s blessing, despite all the waiting around we had to do? I believe that that one thing is belief. Believing in God and His promises is what helps us get through such hard times. 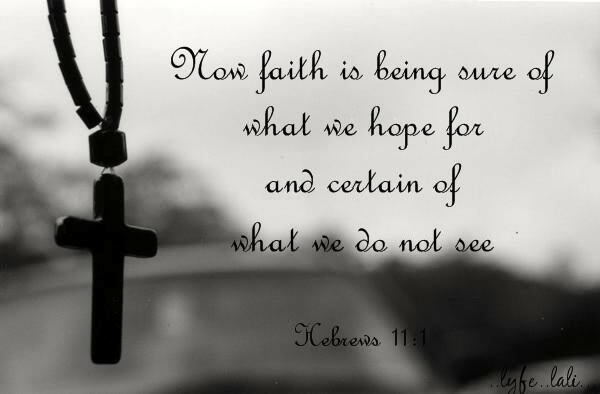 The belief I am speaking of is best defined in Hebrews, “Faith is the confidence that what we hope for will actually happen; it gives us assurance about things we cannot see” (Hebrews 11:1, NLT). I was reading in the book of Numbers today. There is a story in there that speaks perfectly about this topic. In chapters 13 and 14, the people of Israel have been brought to a place just outside of the promised land. God told Moses to send 12 men into the promised land to spy it out for them. The men were gone for forty days. They traveled all over the promised land, and brought back many samples of what the Israelites were going to find. When they returned, ten of the men gave a report that the Israelites could not possibly overcome the inhabitants of the land. They thought that they would surely all die. But Caleb and Joshua (the other two) spoke up saying that they could because they had God, and He promised them the land. The people ultimately sided with the 10 men and rebelled against God. He chose to punish them with 40 years of wandering in the wilderness and that none of the adults would be alive (except Caleb and Joshua) to enter the promised land. I suppose what I’m getting at is that we have to hold onto our believe that God will come through for us. He has promised to provide for us and so much more (Jeremiah 29:11 and Psalm 27:4). We can get a little doubtful when it “takes too long” (which was my point yesterday). But we have to believe in our God. He is ever faithful, so we must be faithful in Him. Holding onto that belief is counter-cultural. God said to Moses, “But my servant Caleb has a different attitude than the other have. He has remained loyal to me,…” (Numbers 14:24, NLT). Being counter-cultural is hard, but we have to do it if that means we hold onto our belief that God will provide in His time. Have you ever been ready to move on, but it seems that God won’t let you? For instance, you’re ready to go out and get a new job. You try several different places for a long period of time, but you either never get called or when you do you still don’t get the job. Or maybe you want to change locations, but every house opportunity seems to fall apart at the last minute. Well if you’re like me, you just don’t understand why God isn’t helping you out. You think of verses like Jeremiah 29:11, “‘For I know the plans I have for you,’ says the Lord. ‘Thy are plans for good and not for disaster, to give you a future and a hope. '” (NLT), or Psalm 27:4, “Delight yourself in the Lord; And He will give you the desires of your heart” (NASB). You ask why God isn’t fulfilling these promises, and can’t understand what is wrong. I think that’s our problem, the waiting. I know that we aren’t the only one’s that have a problem waiting. We live in a culture of gotta have it now. My wife and I were talking about Blockbuster closing. We said that the main reason Blockbuster’s business went bad was because of businesses like Netflix and Hulu that allow you to get these things instantly. We no longer need to go to a store to buy things, just simply get on Amazon and order it (unfortunately you still have to wait, but I’m sure somebody is coming up with a way to fix that). So I think that the reason we have issues with seeing God fulfilling His promises lies around our patience. We must wait for Him. He has perfect timing and knows what is best. We may think we know, but we don’t. So if you find yourself in this situation, I encourage you to wait on the Lord, be strong in your faith, and wait.